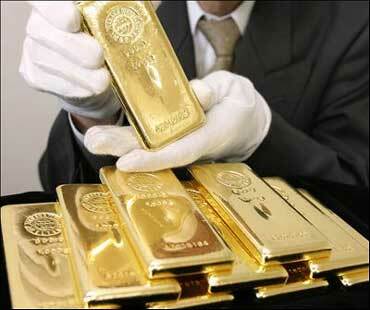 Both the precious metals surpassed all previous records to hit new highs on Monday. While gold surged Rs 200 to Rs 21,420 per 10 gm on rising seasonal demand, silver rose by Rs 1,250 to Rs 54,450 per kg on heavy buying by stockists and industrial units, amid firm global cues. 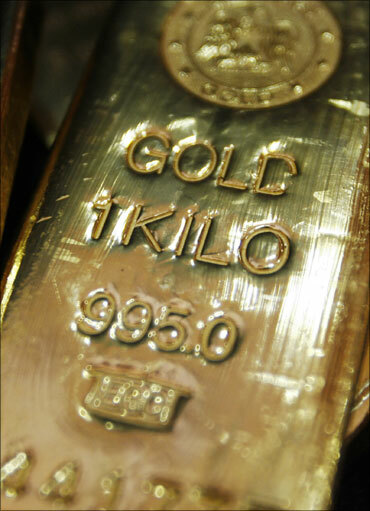 Trading sentiments for the yellow metal turned bullish on heavy buying support, following turmoil in Libya, surging crude oil prices and shifting of funds from weak stock markets to bullion on the domestic front. Globally, gold gained 0.5 per cent to $1,437.85 and silver increased 2.3 per cent to $36.40 an ounce, the highest level since February, 1980. Traders said firm trends at futures market also influenced the trading sentiment to some extent. Both the precious metals moving closer to their record levels on the global front, advised domestic investors to enlarge their positions to protect their wealth, they said. On the domestic front, gold of 99.9 and 99.5 per cent purity surged by Rs 200 each to set their new peaks of Rs 21,420 and Rs 21,300 per 10 gm, respectively. 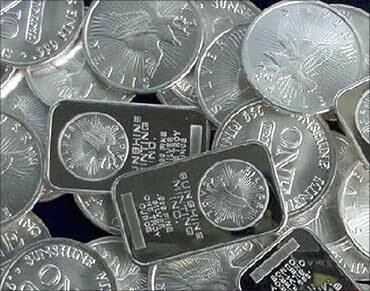 Silver ready zoomed up by Rs 1,250 to Rs 54,450 per kg and silver week-based delivery sky-rocketed by Rs 2,120 to set a new peak of Rs 54,420 per kg on speculative buying support. Silver coins also spurted by Rs 2,900 to their record levels of Rs 58,700 for buying and Rs 59,200 for selling of 100 pieces. Sovereign, too rose by Rs 100 to Rs 17,500 per piece of 8 gm.